(I know this might be confusing if you’re reading this outside Ireland, but check the international news, we wound up in it almost everywhere). 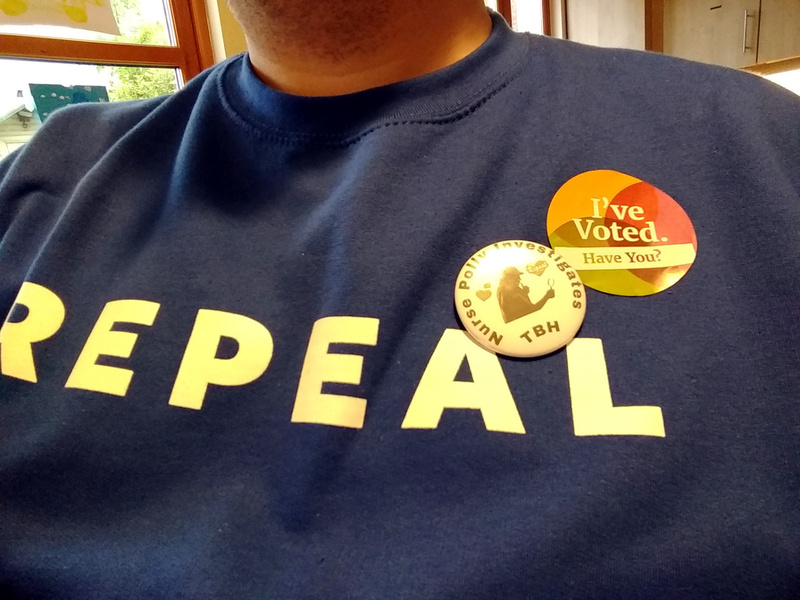 Herself was canvassing and leafletting and doing her part for this for the last few weeks, and we were all a bit on edge throughout because the No campaign were being violent and abusive and just plain nasty in an attempt to drive down turnout for the vote, but in the end people remembered thirty-five years of suffering and overwhelmingly voted yes. After which, to be frank, we were all a bit weepy and wiped out. Herself went in to Dublin Castle for the official announcement, and I went off with Junior to the grandparents to decompress and grill some hamburgers, and we all went home and crashed that evening with a plan to not even move the next day if we didn’t have to. 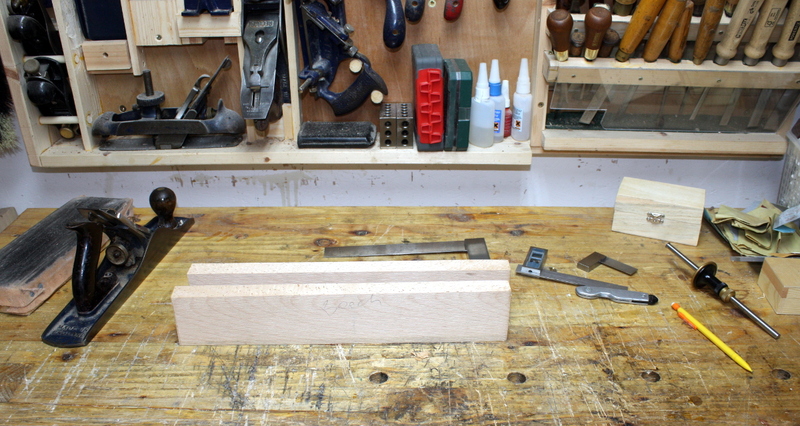 Then on to the stones to fine tune the bevel and hone it. And a slightly less aggressive camber than Sid’s. 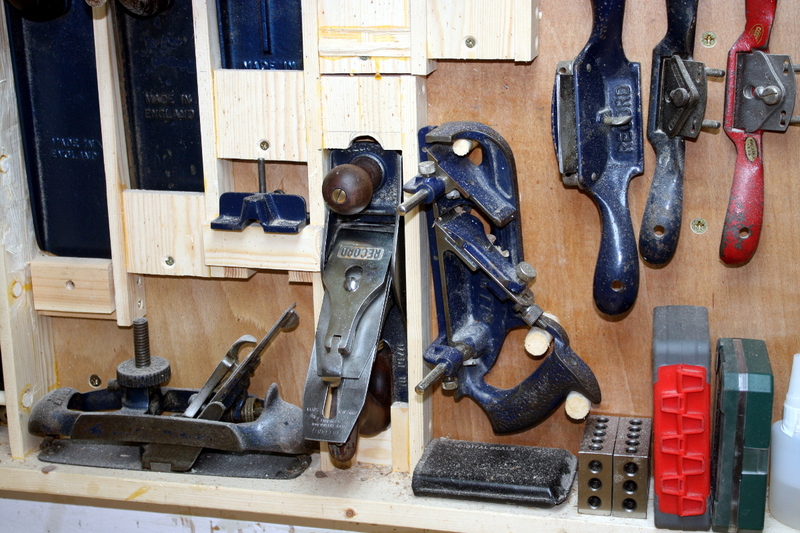 So, Sid gets relegated to the toolbox for the foreseeable; he may be dug out again if I ever need to thickness a lot of pine or something like that, but he tended to bite me as much as he’d bite the wood, so I’d rather stick with the new plane, it lets me bleed less on the work which will hopefully improve the final finish of pieces. Happily, I didn’t have to do anything to the mouth, so the guilt of mangling an old but perfectly fine Record #04 wasn’t triggered. 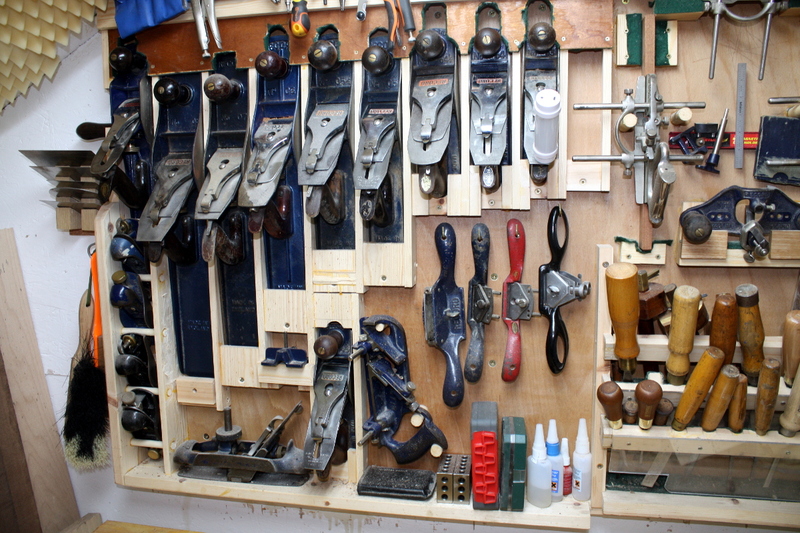 And now my wall is almost 100% record (bar the two stanley block planes and the preston spokeshaves). Which is odd because I didn’t start out looking to make a collection, but I seem to have wound up with one anyway. 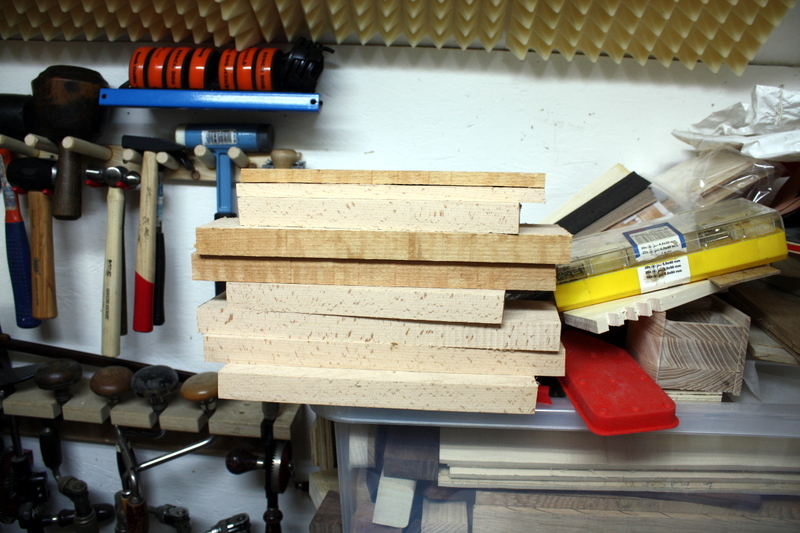 But I’m not actually touching those today, I wanted to get a feel for what beech is like to work so I’m prepping some pieces for a simple box first from the offcut left over from doing those rough cuts. 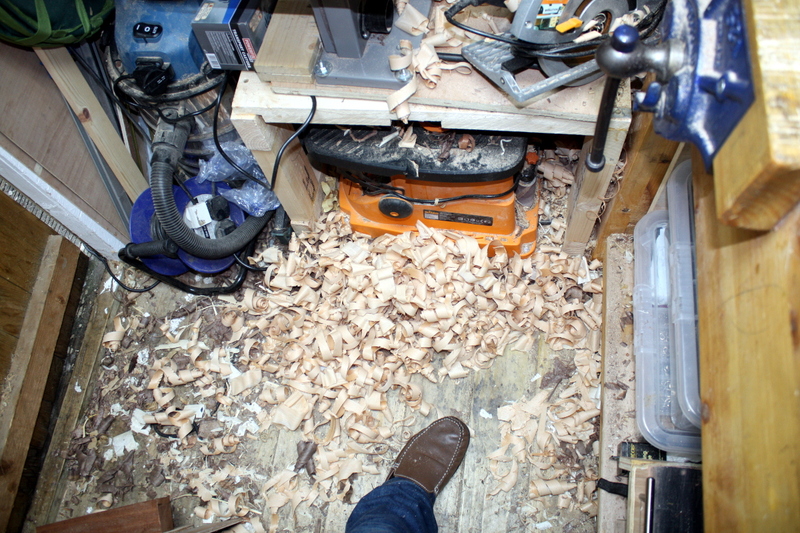 Ripped the offcut in half and planed to matching width. 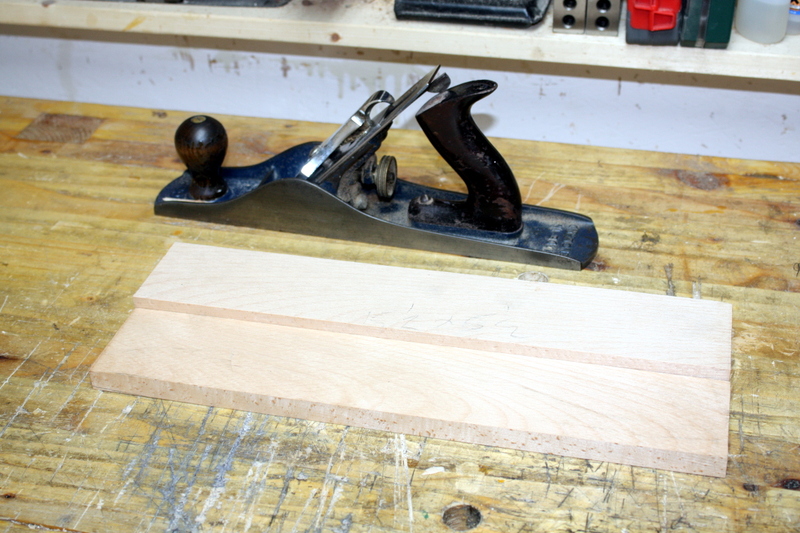 Then flattened one side and thicknessed with the new scrub plane. Honestly, this is not my favourite part of this hobby. 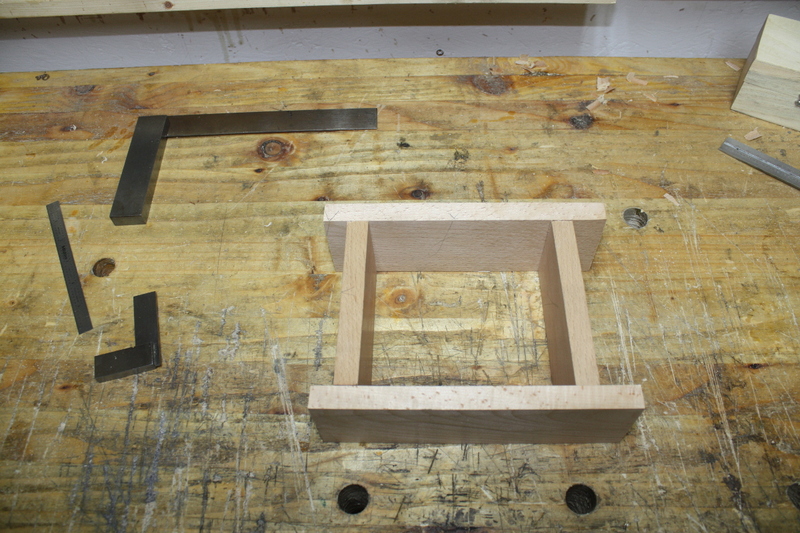 But I got the pieces thicknessed and flattened on both sides, and shot the ends square and then cut out 8″ and 5″ lengths for the sides of the box. 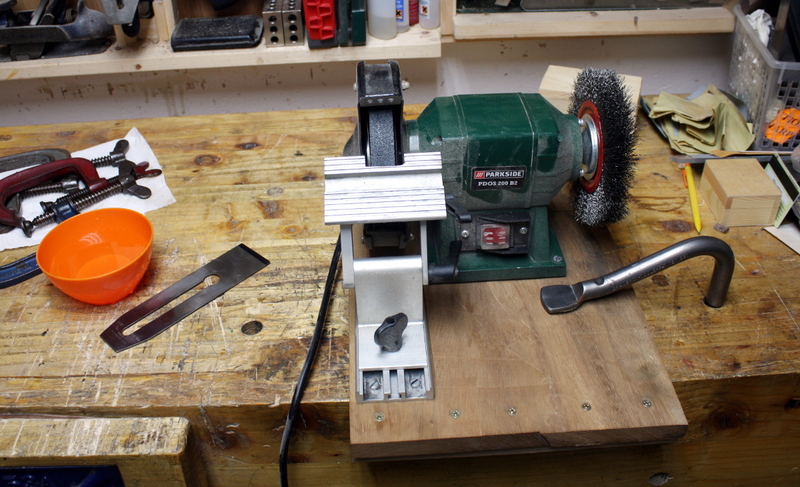 On another note, your bench grinder guide- who made it & where did you get it? 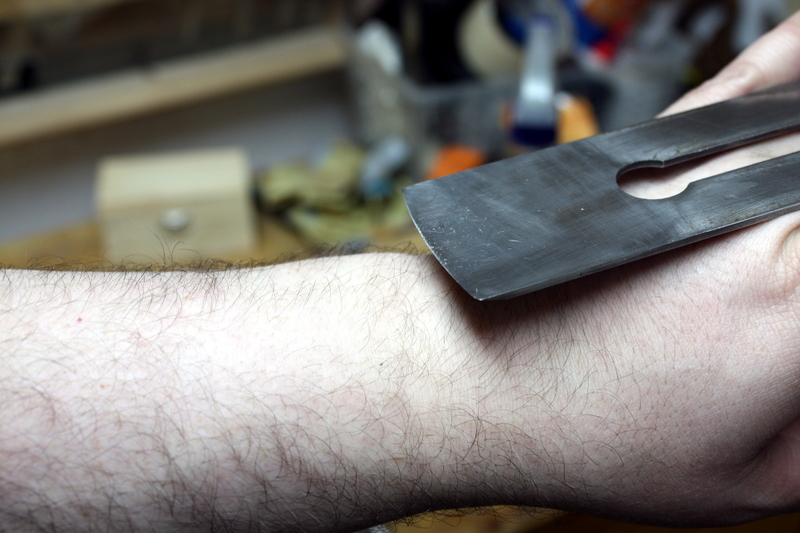 question – what is the metal ‘handle’ on the sharpening stone holder for? 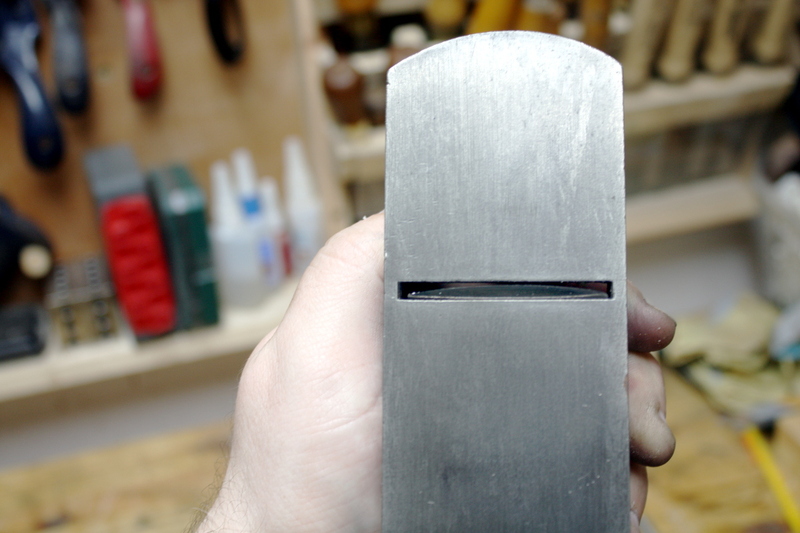 Is it a handle or used as burnisher, or both? 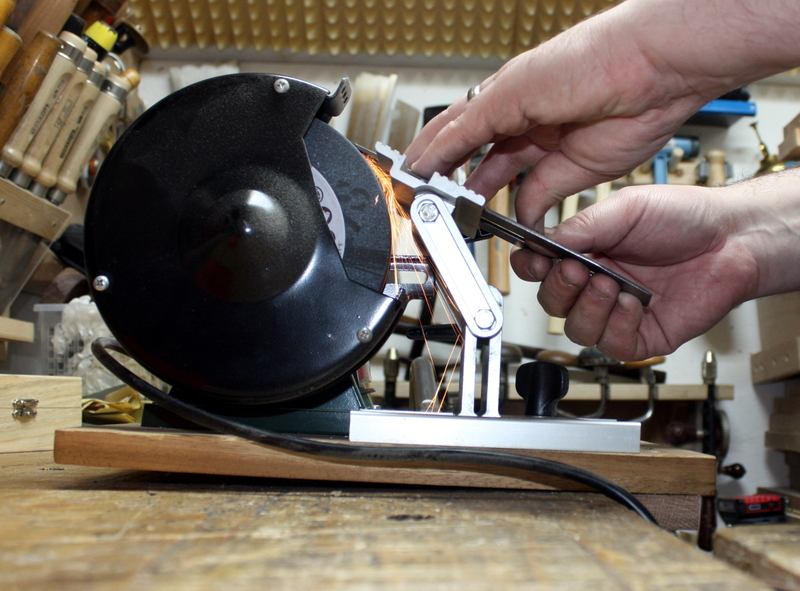 One more question – where did you get the adjustable holder for the grinder? It’s literally a drawer pull Ralph, I keep it under the bench and so it gets lugged about and I wanted a handle to tote it by. 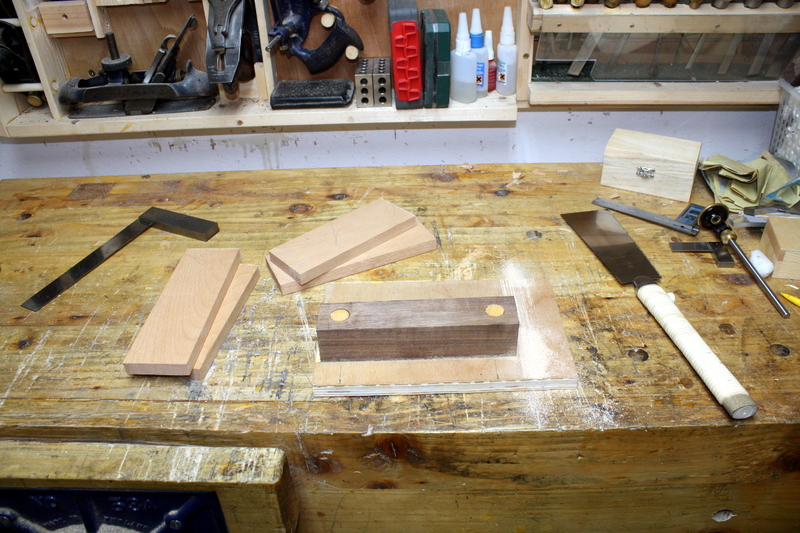 It’s more a pain in the fundament than anything else, and I keep meaning to remove it but never get round to it because it does obstruct the strop a bit, but I have a second strop I keep on the benchtop (just a lump of 2×4 wrapped in leather and fastened with nails which is handy because it’s so uncomplicated).